You might well smile Daniel, things look very good for you and Red Bull this weekend. The Australian finished 0.6s quicker than Lewis Hamilton in second practice, suggesting he might have the pace to challenge for pole on Saturday. As ever, Mercedes will probably find more when it matters but maybe we haven't seen the full power of this new spec engine in the Red Bull. Saturday is sure to be interesting. Have a read of Andrew Benson's practice report and don't forget, it's a day off tomorrow. No F1. "Two guys have been particularly impressive today - Daniel Ricciardo and Lewis Hamilton. Hamilton's first lot of laps were blistering and Ricciardo was breathtaking in the afternoon." Ricciardo fastest both on single-lap pace and on the long run in second practice. Red Bull looking very strong. 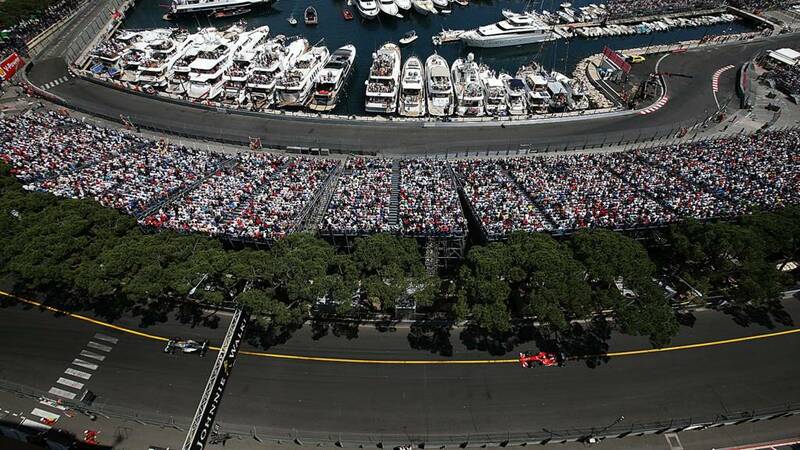 The chequered flag falls and Daniel Ricciardo finishes fastest in second practice for the Monaco Grand Prix. Into the final five minutes of second practice and in comes Nico Rosberg to switch from ultra softs to super softs. No front jack drama for the championship leader. It will, of course, have been something much more advanced than masking tape. Even the best team in Formula 1 right now makes simple mistakes. Lewis Hamilton's car is in the garage and up on the jacks and suddenly the front jack, under the weight of the Mercedes, swings out and the handle thumps the top of the nose, puncturing the carbon fibre. A bit of masking tape and its good to go. Jack Nicholls made plenty of you jump with his excellent show of excitement at Sebastian Vettel kissing the wall. I'm up for Jack doing that a few more times in the middle of some long runs in second practice. Liven things up a bit. Fifteen minutes to go and Nico Rosberg looks to be testing how far those ultra softs will go. He's on his 25th lap of this stint. Lewis Hamilton, meanwhile, is 14 laps to the good on super softs. Love it. Seeing something different every time I look at it! Sebastian Vettel improves a bit and shifts up to ninth but he then immediately sideswipes the barrier at Ste Devote. He's been a bag full of mistakes today. Not a great start to the weekend by Ferrari. The Renault has been lifted off the track and the debris has been scooped up so we are back up and running. Max Verstappen, currently fourth quickest, is on his out lap.